There are only 3 Northern White Rhinos left on earth, and their horns are worth more than gold, ivory, diamonds or cocaine. We’ve poached these marvelous creatures to near extinction, and most people don’t even know about it. Australian artists Gillie and Marc want to give the world a chance to say goodbye, and raise awareness through an interactive art installation unlike anyone has ever seen before – the world’s biggest rhino sculpture is unveiled in the heart of New York City on March 15, 2018. While people were seeing The Last Three, they were talking about this white rhino. It is too late to know but we still have time to save other rhinos. This art work is very sad but great in terms of getting public awareness. 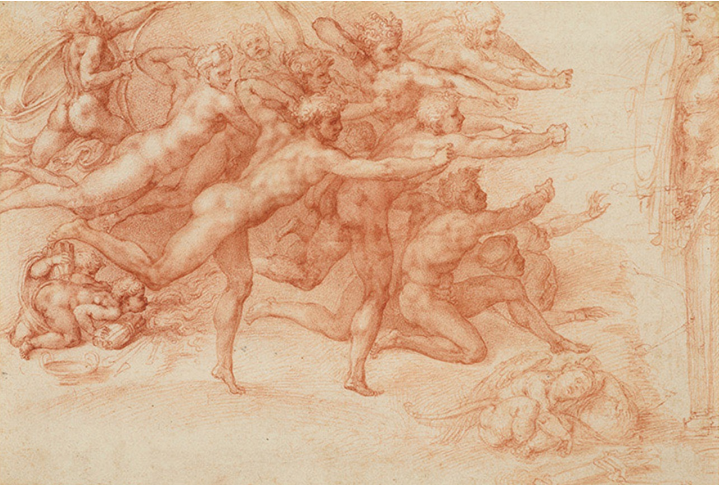 I went to “the must-see” show, Michelangelo: Divine Draftsman and Designer at Metropolitan Museum. It was very successful show. So many people! Met announced that the 10th most visited exhibition in the museum’s history. It’s brought more than 700,000 visitors for three months. I was one of them. It was so many (but not too many) works. They show not only his works but also other artists who worked with him. I’ve never get tired of seeing those masterpieces! Just beautiful. I went to see Kathe Burkhart show at Mary Boone gallery. Though I missed Women’s march, I could make this feminist artist’s show. In one word, I would say her work is bold. I love that straightforwardness. I also love the way she uses collage. I think the materials of the collage connects between visual image and reality of our life. I went to an exhibition of new work by Wangechi Mutu at Gladstone Gallery. The title for this exhibition comes from the Gikuyu words for mud and trees, the prima materia for this body of work. Born in Nairobi, Kenya, Wangechi Mutu received her MFA from Yale University. There were so many people at the opening night. I went to see the show, Francis Picabia: Our Heads Are Round so Our Thoughts Can Change Direction at MOMA. I knew Francis Picabia but didn’t know much about his works. It was amazing to see entire his career! Its styles ranged widely—and wildly—from Impressionism to radical abstraction, from Dadaist provocation to pseudo-classicism, and from photo-based realism to art informel. He mastered each style. The show looked like works of ten different artists. 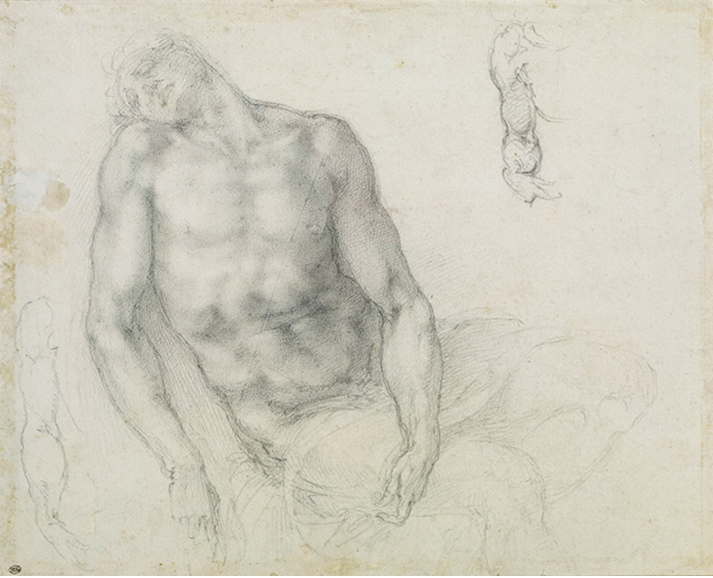 I love the fact that his works has the sense of millennium. Francis Picabia. La Source (The Spring). 1912. I went to Japanese painting, Nihonga and calligraphy, Syodou show at Gallery MC. Most of the paintings are steel life. And the subject matters are nature like flowers. The artist, Mieko Arai has a long Nihonga career. I asked her if she paint without seeing real objects. Her answer was “nature is the greatest teacher.” You can learn art by seeing nature. So, painting from real object is crucial part of Nihonga. I think this is an essence of Japanese art. I originally made this image with pen drawing. I silkscreen printed it last week. I always love simple color of print. I think even though this silkscreen printed image and pen drawing one are almost same, they have different feelings. 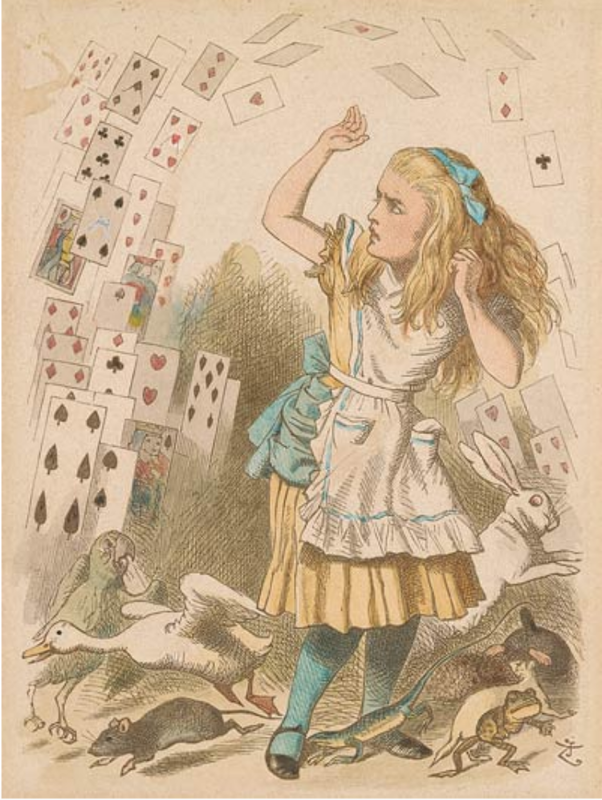 I went to The Morgan Library and Museum to see Alice: 150 Years of Wonderland. This is not the show about Disney animation but the original book, Alice’s Adventures in Wonderland written by Lewis Carroll and illustrated by Sir John Tenniel. It was so many people. By my surprise, many guys were there and looking very carefully. Because the main character, Alice is a girl, I thought that only female readers love this book so much. But I was wrong!